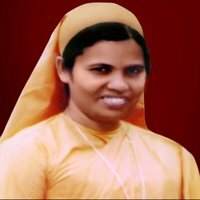 Sr. Holda was born on 4th September 1955 at Ponkunnam as the 6th member of the Vadassery Family. After completing her secretarial course she served the Congregation as the General Secretary for 18 Years and as General Councilor for 6 years. She did her one year Spirituality Course in Indian Institute of Spirituality Centre at Bangalore. Sr. Holda was elected as the 4th Superior General of the Congregation at the General Chapter conducted on 30th May 1995. Unfortunately she couldn�t complete her term of office for she died of Heart attack on 21st February 2000.